For the first time in the “History” of the sport of professional boxing, World Heavyweight Boxing Champions have joined forces as entrepreneurs to brand themselves worldwide. Throughout the years of their illustrious careers spanning over a total of three decades combined as both amateurs and professional pugilist, these great Champions has gained millions of fans as they have defended their World titles around the entire World in sold out stadiums and on all the major television networks. Their mission is to form partnerships with only a few selected companies that are looking to expand their market popularity around the World with the help of their endorsements and fame that these warriors have gained through blood, sweat and tears to become known as the World’s, Ultimate Gladiators by each of them winning the prestigious title of World Heavyweight Boxing Champion. 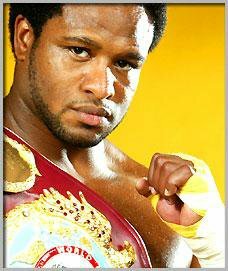 Lamon Brewster was born June 5, 1973 in Indianapolis, Indiana. Lamon had many childhood interests, including football, basketball, swimming, break dancing, and most of all, fishing. At age 7, he discovered boxing. Brewster was destined to be a success in boxing, having around him his childhood coach and former Bare Knuckle Boxer Bill “Honey Boy” Brown (of the Christamore House) and his life coach and mentor Bills Slayton. 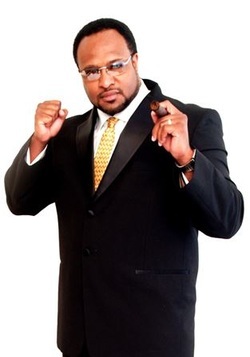 He also counts among his influences Muhammad Ali, Bruce lee, and Bishop Noel Jones of City of Refuge. 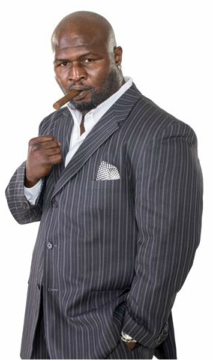 His list of achievements during his amateur career is long, including being a 4 time Golden Glove champ, the number one U.S. National Amateur Heavyweight Champion from 1994-1996, the U.S. Olympic team captain from 1993-1996, and the 1995 Pan American Heavyweight Silver Medalist in Buenos Aries, Argentina. Maintaining a record like that required an intense training regimen, including 3 months of dedicated camp every year and an average of 6 hours every day. This heavy training schedule helped him develop his characteristic style with aggressive, close in counter punches. 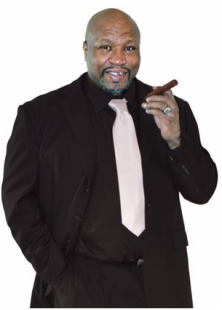 During his professional career, Lamon became the W.B.O. World Heavyweight Champion in 2004, knocking out Wladimir Klitschko in round 5. Brewster successfully defended his title for two years, making him the last reigning defending World Heavyweight Champion of the World. 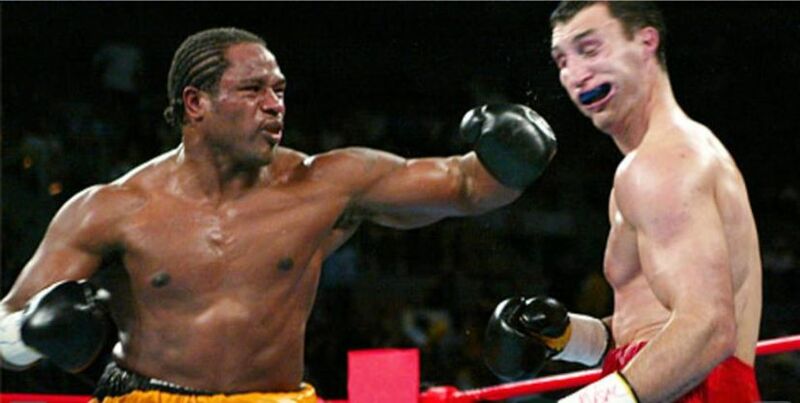 He also holds the world record for the fastest World Heavyweight Championship knockout at 53 seconds in the 1st round. Record holder of the fastest K.O. in a Heavyweight World Championship title bout of 53 seconds of round number 1. Riddick Bowe was born August 10, 1968 in Brooklyn, N.Y.
Bowe spent his childhood like his friends, playing football and basketball in neighborhood parks, but at age 13 he discovered the world of boxing. A strong family was important to Riddick, and as the youngest of 13 brothers and sisters, he credits them among his important influences, but in the boxing world, he looked up to The People’s Champion, Muhammad Ali. 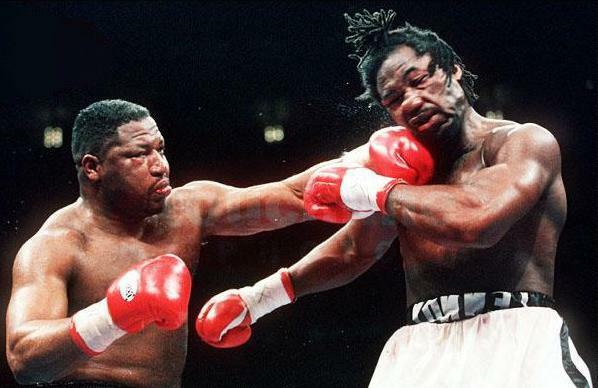 Bowe was a winner all through his amateur career, taking the N.Y.C Golden Gloves 4 times, the Junior World Championship in Bucharest, and the Olympic Silver medal in 1988 in Seoul, South Korea. Riddick trained with purpose, spending 3 months every year in camp, running every morning and spending all afternoon in the gym perfecting his hard punching style. 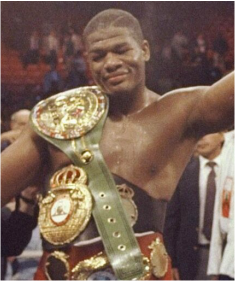 His career highlight was most certainly his defeat of Evander Holyfield on November 13, 1992 to become the undisputed Heavyweight Champion of the World. 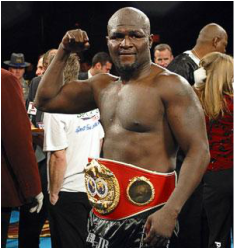 James Toney was born August 24, 1968 in Grand Rapids, Michigan. James played football most of his young life but discovered boxing at age 10. Many individuals helped shape James’ life and career, but two standouts were Bill Miller, his former trainer, and his mentor John “Pops” Author. 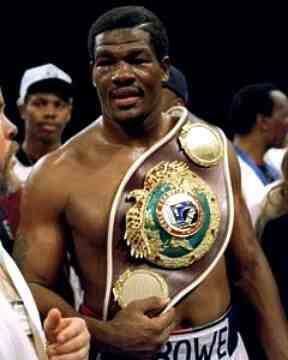 Highlights from James’ amateur career including wining the Michigan Silver Gloves and Diamond Belt awards. Toney kept himself in top shape by starting workouts early in the morning and diligently getting in the gym at least 3 times every day. This regimen helped him develop and maintain his characteristic, old school throwback style as a counter puncher and defensive master. The big turning point in Toney’s professional career came when he defeated Michael Nunn to become the I.B.F. 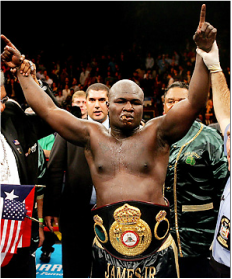 Middleweight World Champion, followed by his win against John Ruiz for the W.B.A World Heavyweight title in 2005. 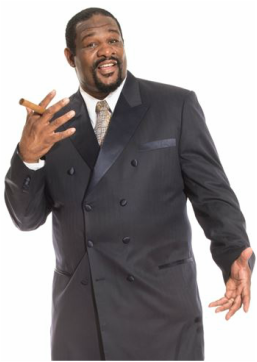 Ray Mercer was born April 4, 1961 in Jacksonville, FL. 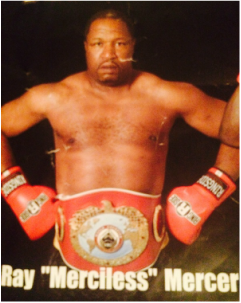 Before Ray found boxing, his childhood consisted of diverse interests like building go-carts and fishing. Ray’s father was very influential and important to him, but when he found boxing, he was influenced heavily by The People’s Champion, Muhammad Ali. He worked hard during his amateur career, often spending 4-6 weeks in training camps, perfecting his heavy punching style. 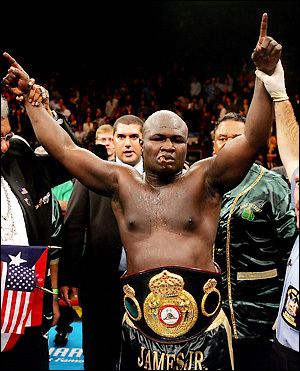 His career turned a corner when he joined the U.S. Army Boxing Team, but reached the ultimate summit when he won a Gold Medal with the U.S.
Heavyweight Boxing Team at the Seoul Olympics in 1988. Highlights of his professional career including defeating Bert Cooper, knocking out Tommy “The Duke” Morrison, and beating Francisco Damiani for the W.B.O. World Heavyweight title. 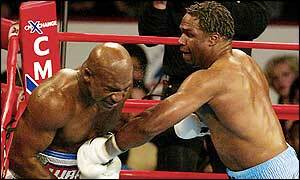 Chris Byrd was born August 15, 1970 in Flint, Michigan. His childhood interests were playing football in the neighborhood, being a basketball all-star… And boxing. 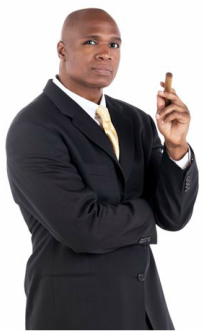 There were many influential individuals in his life but among the most prominent were Sugar Ray Leonard and Mike Tyson. Highlights from Chris’ amateur career include winning the U.S. Championships 3 times between 1988-92, while being in the finals all 5 years. His most notable highlight was competing in the 1992 Olympics where he won the Silver Medal in Barcelona, Spain. Chris always trained hard, building whatever advantage he could over his opponents, even down to the detail of making sure he woke up as early as possible to start his regimen. He developed his own characteristic style in the ring but paid attention to his idols like Sugar Ray by incorporating damaging combinations. He also considered himself a Slipping Master. 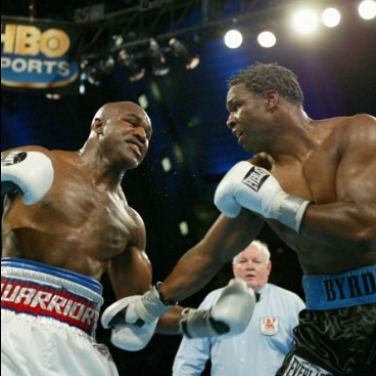 Highlights from Chris’ professional career include defeating Vitali Klitschko on April 1, 2000, David Tua on August 19, 2001, and Evander Holyfield on December 13, 2002.